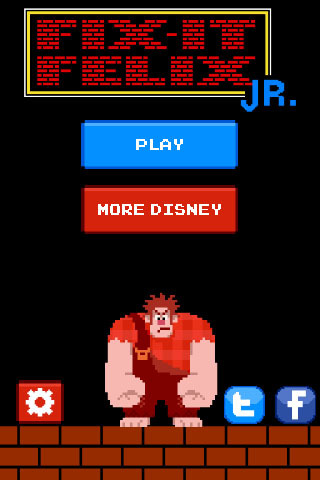 Disney has crafted up an excellent game titled Fix-it Felix Jr. just in time for the animated movie "Wreck It Ralph" which it's based on! It's due to hit theaters on November 2, 2012. You play as Felix, a guy whose on a mission to fix broken items. 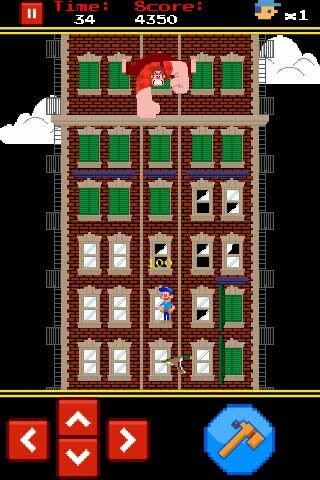 Your enemy is Ralph, a guy whose mission is to stop you from fixing items at all costs! He'll pound the flooring above you to create falling bricks. The controls are simple: left, right, up, down and fix. You start with only a few lives, so be smart. 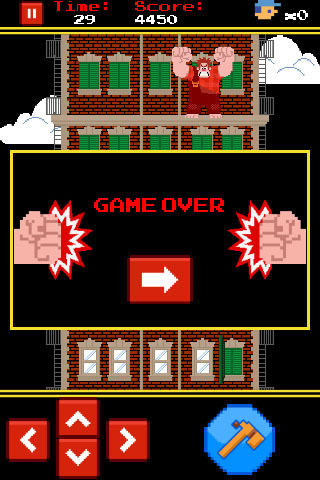 During gameplay you'll want to avoid flying birds, thrown bricks and any other obstacle hindering you from successfully completing the level. Once you complete a level (floor of a building) you'll move to the next level. If you fail to complete the level you'll have to start the game over. 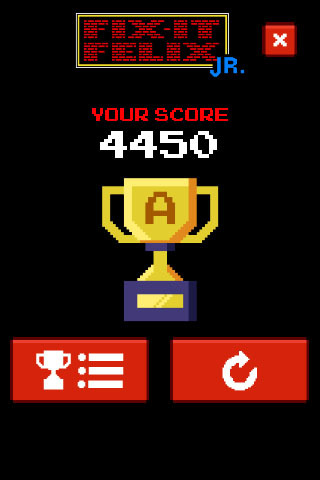 You score the most s points by fixing as many items as you can in a timely manner.